Srinagar: In a pre-emptive action the J&K government has devised a mechanism for Chief Minister Mehbooba Mufti to condemn civilian killings in advance. The move is aimed at silencing opposition and critics who used to ridicule Mufti over her belated apologies. According to government spokesperson Naeem Akhtar, Mufti would be delivering apologies through a weekly radio broadcast titled “Papavaani”. “Through this programme Chief Minister will be offering apologies for future civilian killings in advance to depict her seriousness on the issue,” Akhtar said. 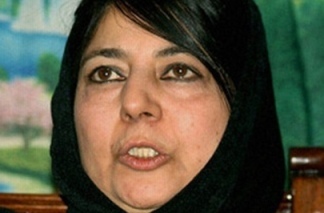 Insiders say Akhtar is the chief architect of the radio programme and Mufti would record her address on weekly basis at her residence – Papa 2. “It won’t be a one time apology but that she would come on air until the term of government ends,” Akhtar told Dapaan. Mufti’s twitter caddy Waheed Parra told media that the chief minister would also add more languages to offer condolences. “Madam has experimented with Urdu and Hindi. But she will now also be offering condolences in Kashmiri, Dogri Farsi and Sanskrit,” Parra said.